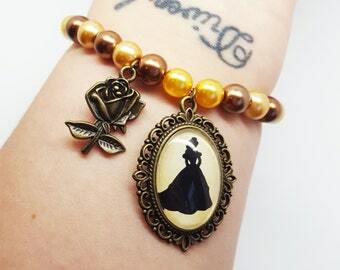 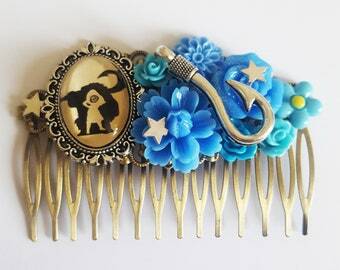 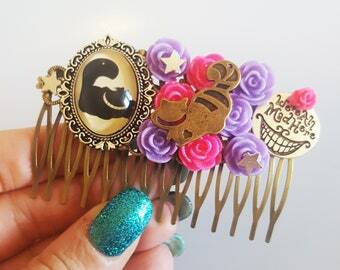 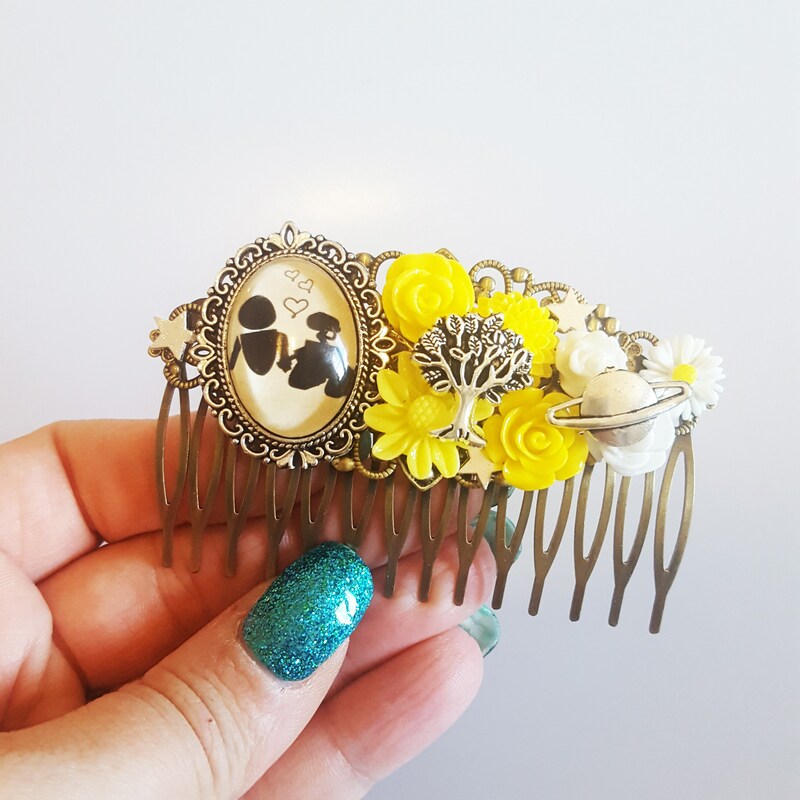 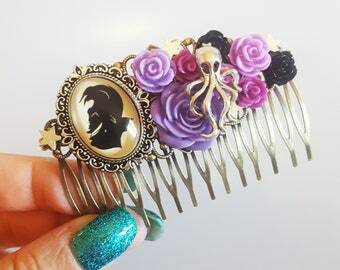 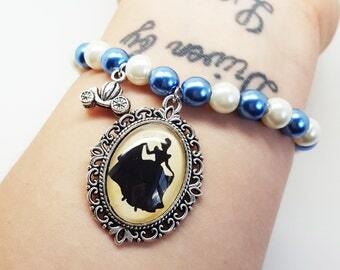 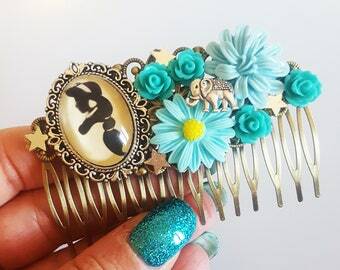 A small glass sealed handmade cameo depicting a silhouette of Disney Pixar's Wall-E and Eve is the focal feature of this one of a kind Disney hair comb. The comb is made using an antique bronze filigree comb setting and is embellished with yellow and white resin flowers, star charms, a silver plated tree charm and a silver plated planet charm. 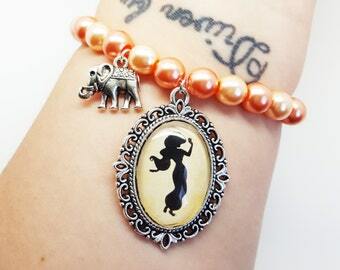 All cameos are handmade in my home studio. 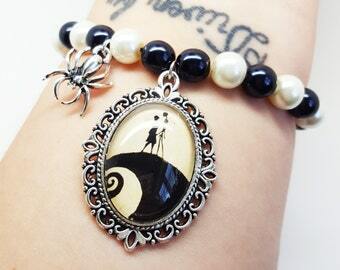 Each image is designed, printed onto premium quality card, carefully sealed under a glass cabochon and set into a filigree frame by hand giving a crystal clear result. 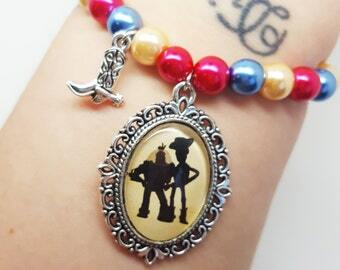 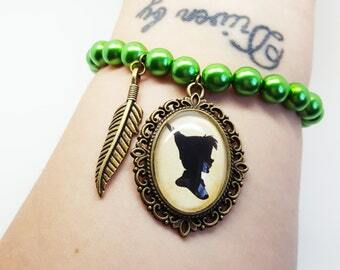 Each charm is secured with an extra strong adhesive. 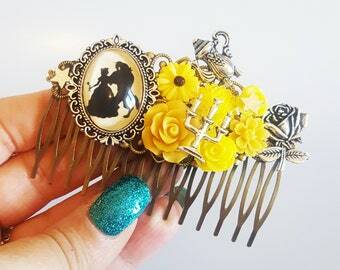 My combs make unique and alternative bridal hair accessories! 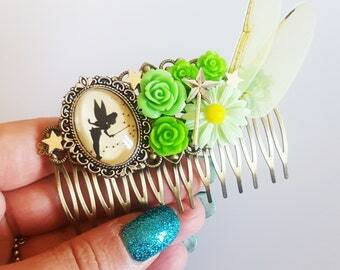 Each hair comb will arrive in a recycled kraft gift box and protected by a bubble envelope.